You want visitors to your church website to see what a welcoming environment your church is. But, you’re not really sure how to convey that message. When it comes to building a church website, or any website for that matter, one of the best ways to influence visitors is through the use of images. In fact, there have been numerous studies done that prove the power of images. One such study found that people only remember 10 percent of what they hear, 20 percent of what they read, and 80 percent of what they see. Clearly, images are important. But, these images also need to be powerful. In this article, we’ll go over the top 5 tips for choosing influential images for your church websites. Many church websites make the mistake of including images of only the building. But, you preach to people, not to a building. Therefore, your images should focus on the people of your church. You can either have a professional take photos of your actual church members or, you can use stock images. And, you can still incorporate the building in more subtle ways. You can do this by displaying pictures of people walking into your church or using a stained glass window or vibrant area of decor as your backdrop. The main purpose of putting images on your site is to evoke an emotional response in your viewers. And one of the best ways to do this is with images of worship. Worship is the reason people attend church, as it gives them a sense of community and belonging. Posting pictures on your site of your parishioners during worship will help them get a sense of what your church is all about. While it can be tempting to take a few quick pictures from your phone for your site, it’s not going to do you any favors. Low-quality images tend to turn people away, regardless of the organization you’re promoting. Make sure the images you choose are not grainy or blurry, and that they’re well-sized and look professionally taken. 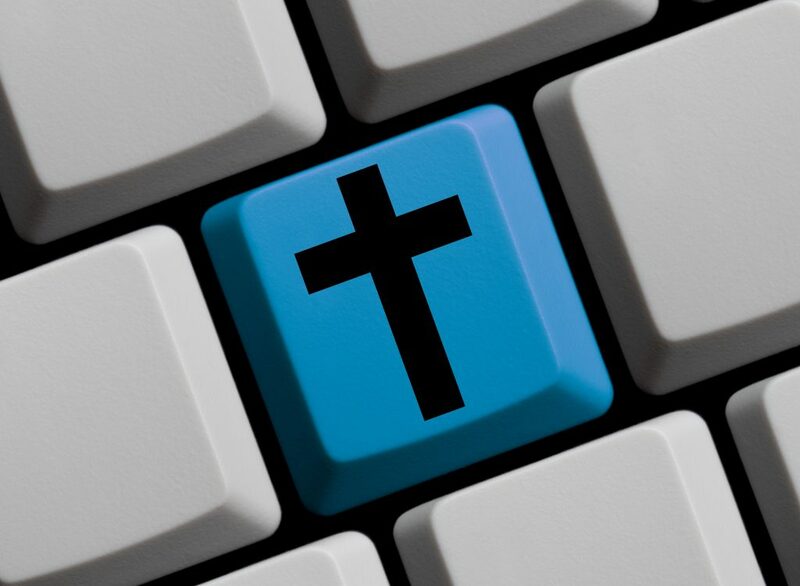 The images on your church website should, collectively, tell a story. Therefore, it’s important that color, style, orientation, filters, and sizing are all consistent. For example, if there’s one black and white photo, then all of the photos should be black and white. Keeping the images consistent will help people remember your church more easily. A few powerful images can evoke an emotional response and influence people to make a decision. Too many images, however, can cause someone to feel bombarded, confused, and disoriented. To prevent this, make sure to stick with the “less is more” tactic. Try to strike a healthy balance between written content and images. An on-page SEO service can help you with this. By following these tips, your parishioners and potential parishioners will be able to see what you’re all about. However, images are only one aspect of improving your website. There are many other simple ways to improve your church website as well, such as videos, newsletters, and blogs. If you have any questions about the tips in the article, please don’t hesitate to drop a comment below.